When he is not busy helping Europe’s citizens and businesses navigate Single Market rules in DG GROW’s SOLVIT team, David Ellard writes epic science fiction. 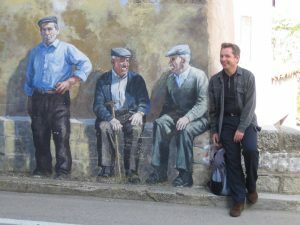 A self-described ‘aspirant writer’, David has been an integral part of the Brussels Writers’ Circle, a club he has chaired for years, where both beginners and seasoned pros gather weekly to share their work. Commission en direct talked to David about his experience. I think it started off with an interest in reading. Then, at a certain point, I began to wonder, well how do they make those words I’m reading on the printed page in the first place? And then the more geeky side of my personality has always been interested in imagined worlds, and wondered, how do I go about interesting other people in the products of my own imagination? So, that drew me inevitably to science fiction and fantasy as genres for writing. What have you written already? I’m most proud of a short novella I wrote which is dream fiction. It actually came out of a dream (or rather nightmare) that I had one night at about 3:00 in the morning. I woke up and was too scared to go back to sleep, so I noted mentally the main points and then started to write it up as a sort of post-facto rationalisation of what the nightmare was actually about. I am also working on an epic science fiction novel. I started with the idea of the opening chapter, and the end, and worked my way to the middle from two directions. I set out with the concern that I would not have enough material for even a short novel. And I spawned a monster in the act of writing it! Needless to say, I’d probably write the next one differently. 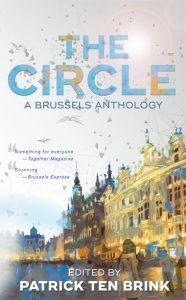 What is the Brussels Writers’ Circle (BWC) and what role did you play in its development? I started going to the Circle in about 2001, and took over running the group in 2010 until 2016. I’m very pleased by how things grew from there on. It was a once-a-week group that subsequently expanded to two, and even three sessions a week, for a while. During my time, the BWC blog was launched and the annual retreat became a fixture. How has being part of the Circle helped you develop as a writer? Partly it’s the discipline provided by, in my case, announcing I am going to read out on a given evening before I have written the damn piece. So my back is against the wall. That’s how I wrote my novel In Search of Y at least. It’s also inspiration. Sometimes seriously good writers come along to the group. That can make me jealous, frankly, but it’s also the best way to learn, by analysing what makes really great writing great. And then of course it’s also the specific concrete feedback people give. Actually, it’s more than that. Some of the feedback is well intentioned but not very useful. This teaches you to filter advice and that is an amazing advantage if you can do it. Filter too little and you will be blown about by the wind. Filter too much and there’s no point in asking for feedback in the first place. The trick is to find the golden spot in between. A very exciting event is the upcoming Waterstones soirée to launch the second BWC Writers’ Anthology, The Circle – a collection of writing from a broad range of our members including short stories, prose and poetry. This will be taking place at Waterstones bookshop in Brussels (boulevard Adolphe Max 71-75) from 19:00 on 22 November.